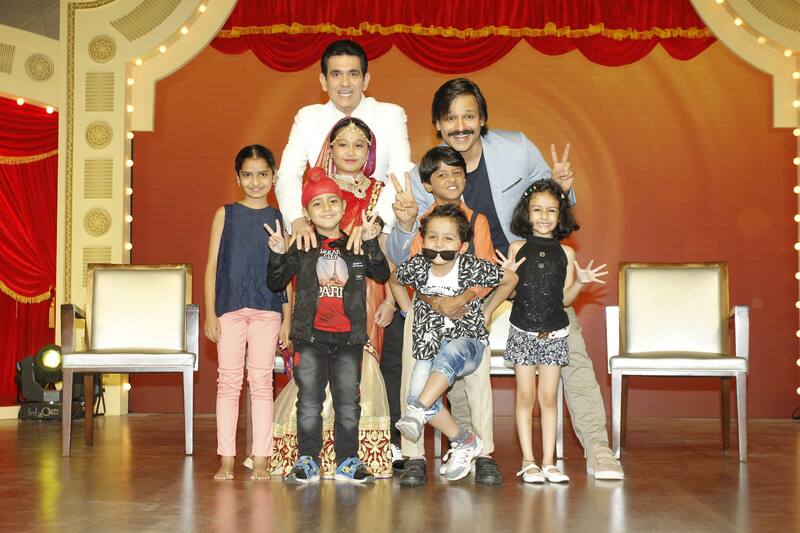 Celebrating the dramatic flair and histrionic abilities of India's youngest acting prodigies in its first two seasons, Zee TV's acting talent hunt show for kids - India's Best Dramebaaz is back with an all-new third season. Having opened up a world of opportunities for truly deserving talents like Kartikey Raj, Kartikey Malviya, Tamanna Dipak, Praneet Sharma - each of who have carved a niche for themselves as performing artistes, the show's latest season gives a chance to a new lot of promising child actors to polish their acting skills and emerge as superstars tomorrow. Enabling the youngest in the country to find their true calling and letting them pursue their passion for acting in order to build an extraordinary future in the world of entertainment, India's Best Dramebaaz is the true embodiment of Zee TV's core philosophy Aaj Likhenge Kal. The show will air every Saturday and Sunday at 9 PM starting 30th June only on Zee TV! Produced by Essel Vision Productions Ltd, this out-and-out family entertainer will feature little kids from across the country flooring audiences with their sparkling wit, impressive stage presence, mischievous spirit and above all, unlimited acting talent. This time around, it's not only the contestants that will take audiences by storm but also the spectacular panel of mentors and talented hosts who will provide entertainment extraordinaire. Guiding, grooming and mentoring the young acting prodigies through their journey and teaching them various nuances of acting will be an esteemed panel of industry experts including the gorgeous Sonali Bendre and the multitalented actor Vivek Oberoi who return to the show a third time. Having cemented his position as a master storyteller and a multi-faceted art director, Omung Kumar will add yet another feather to his cap and make his debut as a mentor on the show. Popular dancer and actor Shantanu Maheshwari and leading ventriloquist Vighnesh Pande will turn hosts for the season and add to the entertainment quotient with their witty one-liners, friendly banter and easygoing camaraderie. Bollywood actor Vivek Oberoi who has been with the show since its inception said, “It feels great to be associated with India's Best Dramebaaz once again. The show is very close to my heart as I get to watch and mentor some of the best talents across the country. The show has already given us some young superstars and there are many such hidden gems who are yet to be discovered. More than mentoring and guiding the kids, I am looking forward to having lots of fun in the company of India's acting prodigies." With the auditions being conducted in cities like Mumbai, Delhi, Kolkata, Guwahati, Ranchi, Patna, Jaipur, Amritsar, Chandigarh, Lucknow, Bangalore, Indore, Ahmedabad, the show has left no stone unturned in scouting the best talent. The shortlisted contestants will get the golden opportunity to perform in front of the mentor's panel and make a mark with their acting mantras. So, stay glued to your television sets and witness India's most promising young acting talent on India's Best Dramebaaz every Saturday and Sunday at 9:00 PM on Zee TV!